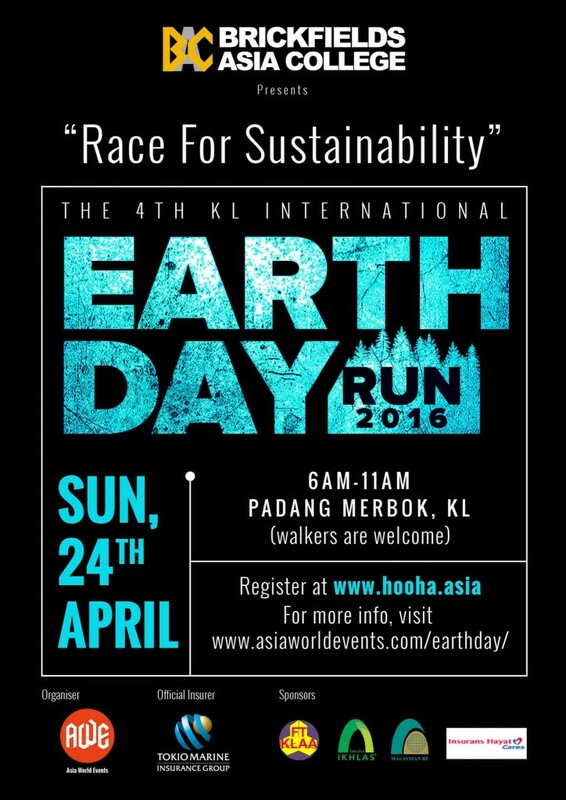 KL International Earth Day Run 2016 | JustRunLah! In 2015 an extraordinary environmental history was created - economic growth and sustainability joined hands. Henceforth sustainability is the current philosophy of how we live and how we do business. In 2016 the greatest achievement will be made on Earth Day 2016 when world leaders will sign, at the United Nations in New York, a climate change treaty to commit on the solutions to sustainability. We know what’s at stake is the future of our planet and the survival of life on earth. We must now bring to the forefront how we will face the tough issues and do what it takes to live sustainably. The 4th Kuala Lumpur International Earth Day Run 2016 aims to bring together people who care and those who will take the lead as we must “ Race to Sustainability”.